IN a show of political immaturity, MDC Alliance legislators yesterday blew more than $200 000 in accommodation, fuel, meals and sitting allowances to play political games by walking out during the official opening of the First Session of the Ninth Parliament by President Mnangagwa. The alliance legislators walked out of Parliament when President Mnangagwa was laying out the legislative agenda, which all MPs across the political divide will be seized with during the entire session. Further, the legislators will soon take delivery of service all-terrain vehicles, which they should use for parliamentary business. Government dismissed the move by MDC Alliance legislators as a barren political gimmick that will not stop Parliament from discussing the legislative agenda set by President Mnangagwa. 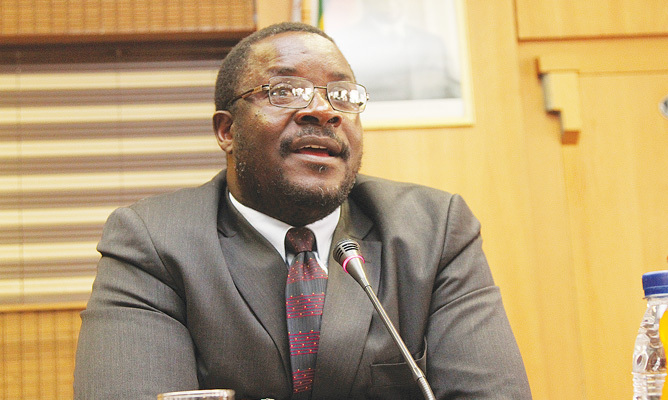 Presidential spokesperson Mr George Charamba described the dishonourable behaviour by the alliance legislators as futile antics. "The boycott backfired spectacularly," he said. "If anything, it underlines that MDC parliamentary presence does not matter numerically because Zanu PF filled the empty space and what is more is we read clear differences within their ranks, which will shape their politics as we move into the future. "With or without them, the issue is the President has tabled matters for debate and their non attendance does not excuse them from dealing with matters he has put before Parliament. It's an act in futility." Parliament paid an average of US$150 per day for accommodation for the legislators and their spouses but an observation by our Harare Bureau showed that most of them booked in the hotels with their "partners". Most of the legislators from constituencies outside Harare were booked for at least three days and were provided with fuel coupons in excess of 500 litres in particular those who came from as far as Victoria Falls. Political and fellow legislators who spoke to our Harare Bureau castigated the opposition legislators for wasting tax payers money by staging political dramas that do not improve the livelihood of the people. Zanu-PF Deputy Secretary for Youth Affairs Lewis Matutu said there was a need for the MDC Alliance legislators to be mature. "They do not represent themselves but the people, for whose good are they doing that. And then you see them walking back to say we are now back to do business, what business is there when you have walked out? They need to be mature," said Matutu. National Chiefs' council president Fortune Charumbira described the walk out as unfortunate. "That's very regrettable and unfortunate because what it shows now is that democracy instead of being constructive is destructive. Democracy thrive on rule of law, which means we set out ourselves and agree on the rules of the game of an election and whoever is aggrieved, we agree on procedures, all that has been exhausted and if we are law abiding democrats we should accept the ruling of the Constitutional Court. "If you are democrats you have to play by the rules of the game that is the rules of democracy that you have passed in your own Parliament," said Chief Charumbira. "Remember that Constitution was agreed by all political parties and for anyone to say we do not like it that is unfortunate. It shows that politicians are all out to win and they are prepared to disregard the law if it does not please them," Norton Member of Parliament, Mr Temba Mliswa (Independent) slammed the MDC Alliance of being hypocritical. "They are being childish. One minute they want to get fuel, allowance, cars but they don't want to sit in Parliament. But they will be judged by the people. We must set aside differences. I do not know what difference they think they are making because Zanu-PF has two thirds majority, we must respect the Head of State, they were part of Parliament that put Mnangagwa in power, (Monica) Mutsvangwa nominated the motion of impeachment of former President Mugabe and (former Tafara Mabvuku MP Mr James) Maridadi seconded. At the end of the day they are not snubbing President Mnangagwa but their own people," he said. MDC-T vice president, Mr Obert Gutu, said the decision was not politically strategic. "What's the take home value of such a childish and emotive stance. What political dividend if any did these MPs derive by walking out. Once they accepted to be sworn into office as MPs the die was cast," said Mr Gutu.